A tear or sprain of the anterior cruciate ligament, or ACL, is the most common type of knee injury. Athletes have the highest risk for ACL issues, but anyone can suffer an ACL injury with a swift twist of the knee. 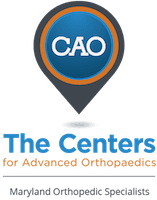 The team at The Centers for Advanced Orthopaedics: Maryland Orthopedic Specialists Division in Bethesda and Germantown, Maryland can help you recover. As leading ACL specialists, James S. Gardiner, MD and Christopher S. Raffo, MD can treat your knee injury and get you back in the game as quickly as possible. Call or book an appointment online. With a Grade 1 sprain, your ACL is mildly damaged and just slightly overstretched. You may experience pain and inflammation, but your ACL is still strong enough to keep your knee joint stable. If you have a Grade 2 sprain, it means that your ACL was so overstretched that it has become loose. This is sometimes called a “partial tear” and is very rare. A Grade 3 sprain, which is the most common, is a complete (or near complete) ligament tear. In this case, your ACL is split in two, and your knee joint is completely unstable. It’s possible to recover from any of these injuries, but your treatment depends on the severity of your sprain. If you think you have an ACL injury, do your best to stay off your injured knee until you can have it evaluated by your orthopedist. For minor sprains, you may benefit from bracing your knee for several weeks and going through physical therapy. Physical therapy can relieve inflammation and help strengthen your knee. Dr. Raffo or Dr. Gardiner can go over your ACL diagnosis and let you know if you’re a candidate for ACL surgery. In most cases, a torn ACL cannot be sutured back together. Instead, surgical repair involves replacing your torn ligament with a tissue graft, which can come from other soft tissues throughout your body. In some cases, a cadaver graft is best. Your dedicated orthopedist will explain all of your available options. If you suspect you have an ACL or another type of knee injury, call or schedule an evaluation using the online booking tool.